If you are starting to get into search and rescue and are looking at training a dog, this is a good place to start. I want to highlight a few important things to keep in mind while your interests in k9 search and rescue grows. Throughout this post you will be directed to many useful webpages to help. If you would like more information visit our contact page and we will help you out! If you were so new that you asked where you could find search dogs for sale then I would tell you that you’re in the right place. First off, you might be able to find a dog for adoption but they will most likely not be trained for search. Part of the fun of K9 search and rescue is training your dog. That being said, we will focus on the dogs and their training. First off, you need to find a dog. There are tons of dog breeds out there so the question asked is, how do you know which dog breed to choose. In theory any dog breed could do search and rescue… in reality each dog cannot. If that’s confusing, think of it like this; just like humans, dogs have personalities and work drives. Regardless of if the dog is a Great Dane or a Chihuahua, if it has a work drive it can excel in search. The more a dog likes to work and play the better the dog will be for search and rescue. In fact this Chihuahua below is a prime example. This little dog beat out over 30 other dogs. Now, that being said, there are a select few dogs that are commonly seen around the search and rescue community. Those are the Bloodhounds, German Shepherds, Golden Retrievers, and Labs. When picking a dog to train, you need to make sure you look at the personality and energy of the dog. The best dogs for search and rescue must be focused on the task they are performing yet have high energy to “play the game” of finding the subject. 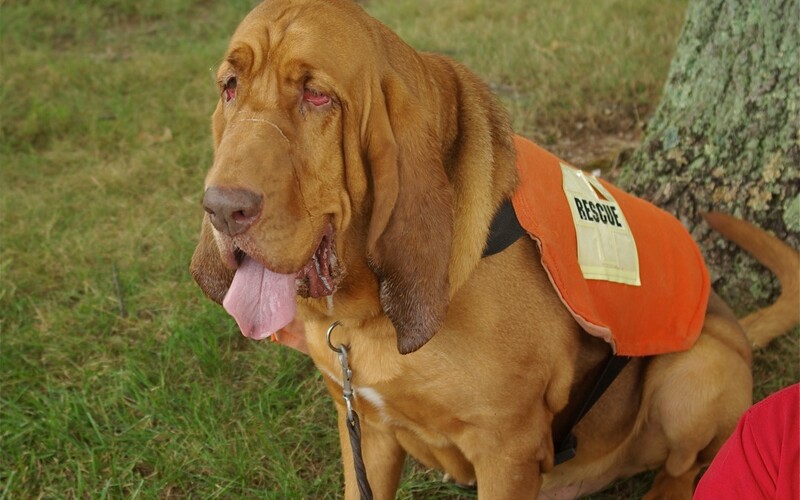 Bloodhounds have been used for decades in search and rescue. The nose on a bloodhound is accepted as evidence in courts all over the country. One of the ways the Bloodhound excels over other dog breeds is that their ears rotate in a circular pattern, which pushes the scent up in the air for them to smell better. German Shepherds have long been used as police dogs, search dogs, and pets. Although they may not be considered “scent dogs” they still have the ability to be awesome search dogs. Again, it comes down to whether or not the dog has that drive and determination to work. German shepherds are versatile dogs that, when accompanied by their courage, devotion and intelligence is an unbeatable search dog. Golden Retrievers, I would say, are the classic family dogs. Don’t let their love and compassion fool you though! That love and energy fuels them to love their “job” in finding the subject. These dogs have a great natural drive similar to labs. They know their job is to find that bird that fell. That drive is crucial in search and rescue, which makes Golden Retrievers perfect for Field exercises, and searches. Labs are awesome dogs anyway you look at them. They are playful and fun and yet protective and hard working. That is after all what they were bred for. These labs have such a natural work drive it’s mind blowing. In fact, one of our newer dogs, Dakota, had such a natural drive within her third field exercise she naturally followed a trail. Again, there are many more dogs that can be used such as border collies, Australian shepherds and more. You can view our teams search and rescue dogs names and skills on our K9 page. You may have stumbled onto our website to find a step-by-step guide on how to train a search and rescue dog. I’m sorry to say that we can’t give that to you on our website. I will give you tools and hints to use as you progress through training. You can also visit our post on the best dog gear to prepare yourself for training. You can find more on which vest and harness are best for training there. Training a dog for search and rescue isn’t like training for obedience. It’s not as easy as taking your dog to search and rescue training schools. Although there may be places that assist with training, you need to be the one to train your dog. Handlers place countless hours of work into their dogs. From personal experience, our handlers put in more then double the amount of time our ground team does in training exercises. To learn more about dog search and rescue training and how to train your dog for search and rescue, visit our k9 page and get connected with our teams k9 unit. You may not know yet, but you as a handler need to pass tests just like your dog will need to. If you are in our area we suggest you get in contact with us and join us for a few field exercises. There you will learn from experienced and seasoned handlers. If you are further away try to contact a search team around your area. When your dog seems to be ready you will both be required to pass specific tests to gain your credentials. You will need specific dog certifications as well as a certification for you as a handler as mentioned before. This will then enable you to go out in the field as a trained and certified handler. 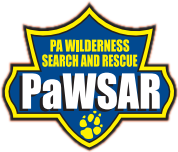 For more information on K9 search and rescue you can visit our K9 page or visit the NASAR canine page.